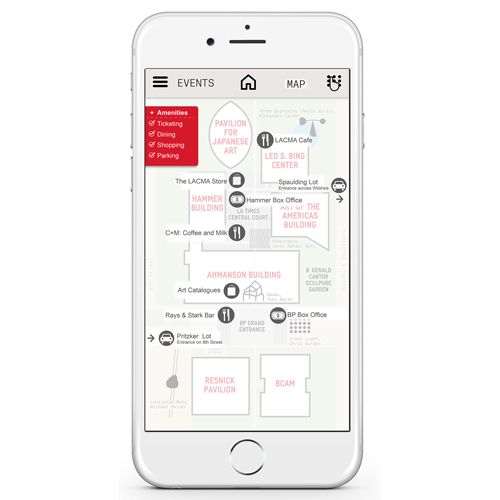 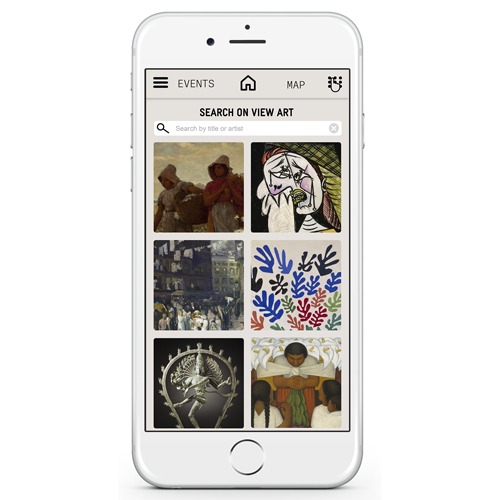 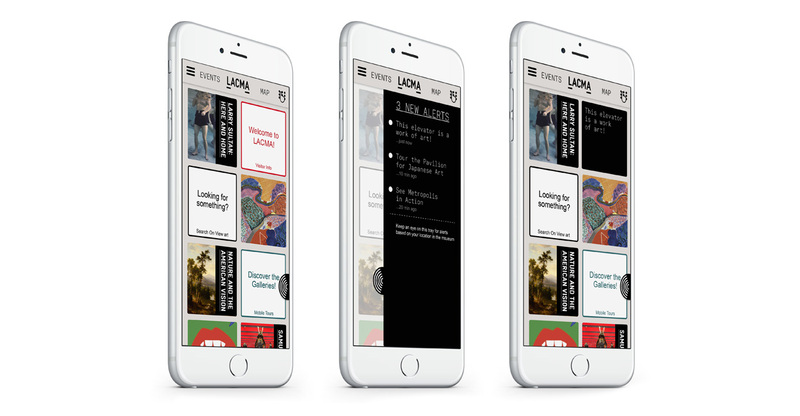 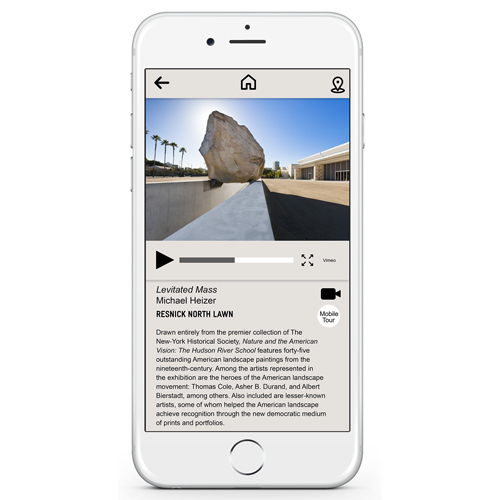 The previous version of LACMA’s app hadn’t been significantly updated since 2011, and in order to take advantage of improved location-tracking technologies and LACMA’s recently rebuilt collections site and search engine the Museum embarked on an overhaul of the mobile experience. 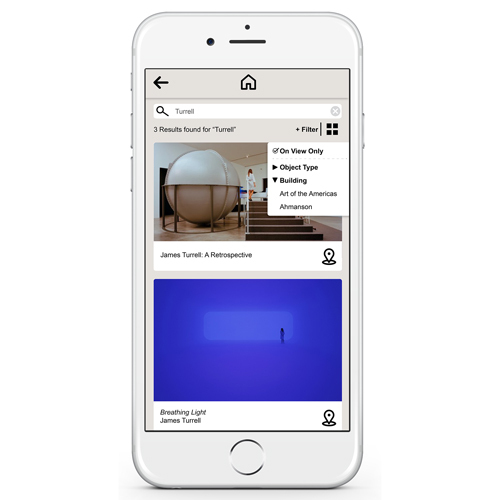 The new app offers searchable access to the museum’s collection and event calendar, as well as advanced mapping capabilities and enhanced content, such as audio tours and video. 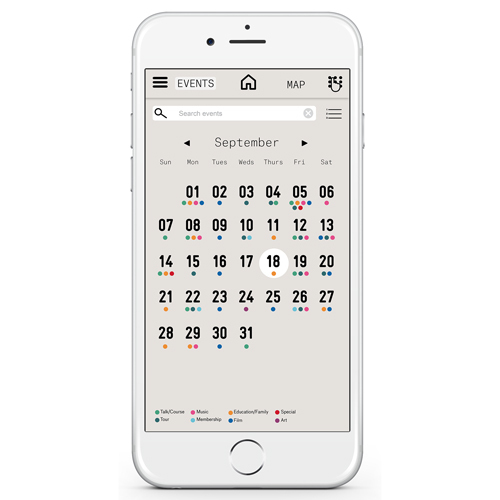  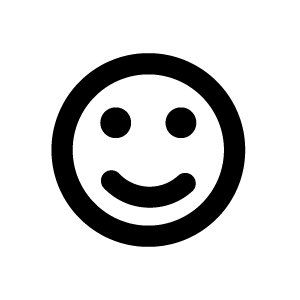 The app launched in the fall of 2015. 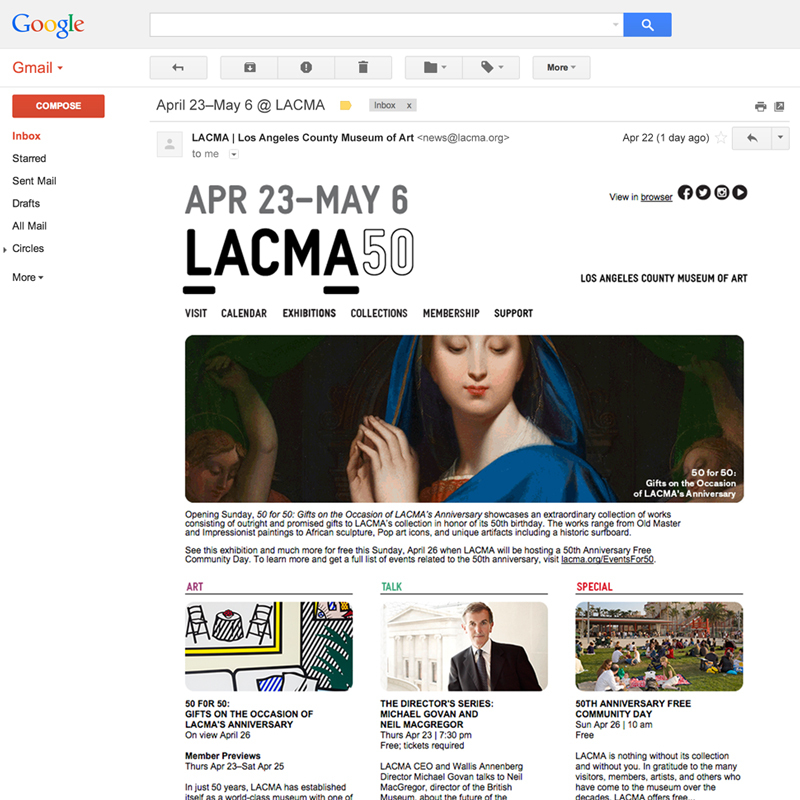 Working with the internal LACMA web and digital team, who built initial wireframes, I designed the app to reflect the ongoing effort to modernize and streamline the LACMA brand. 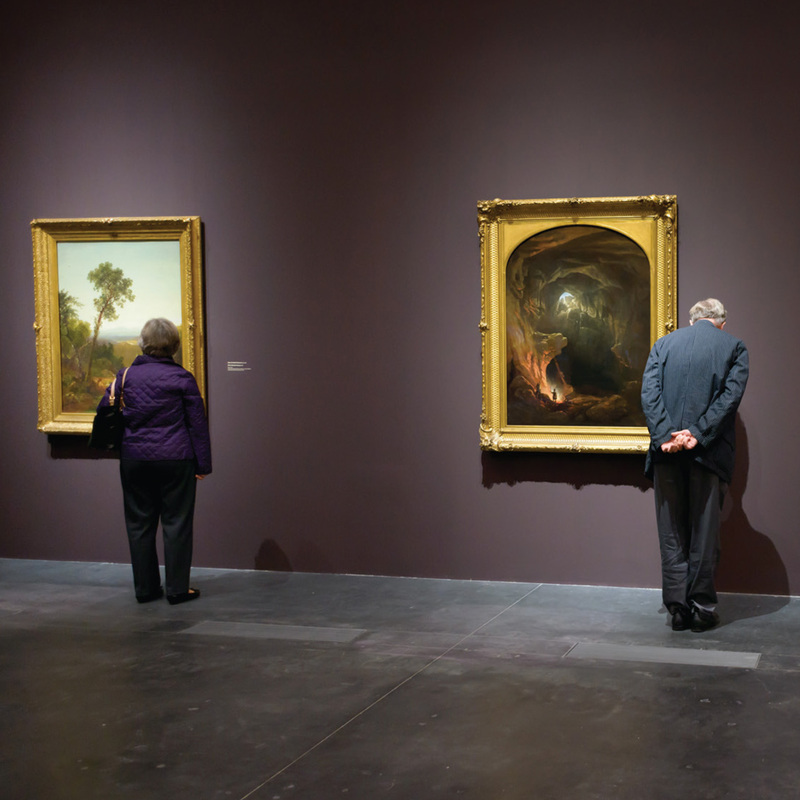 We put the focus back on art and the experience of being at the museum. 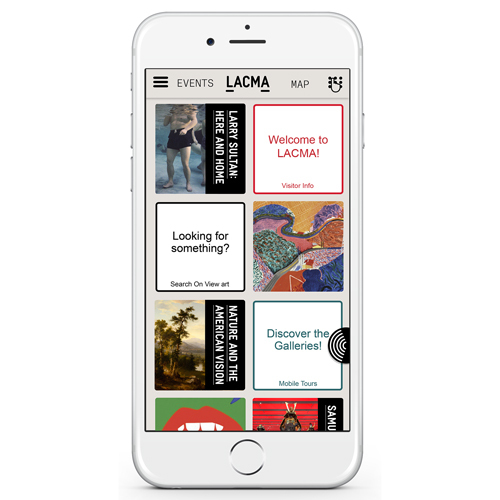 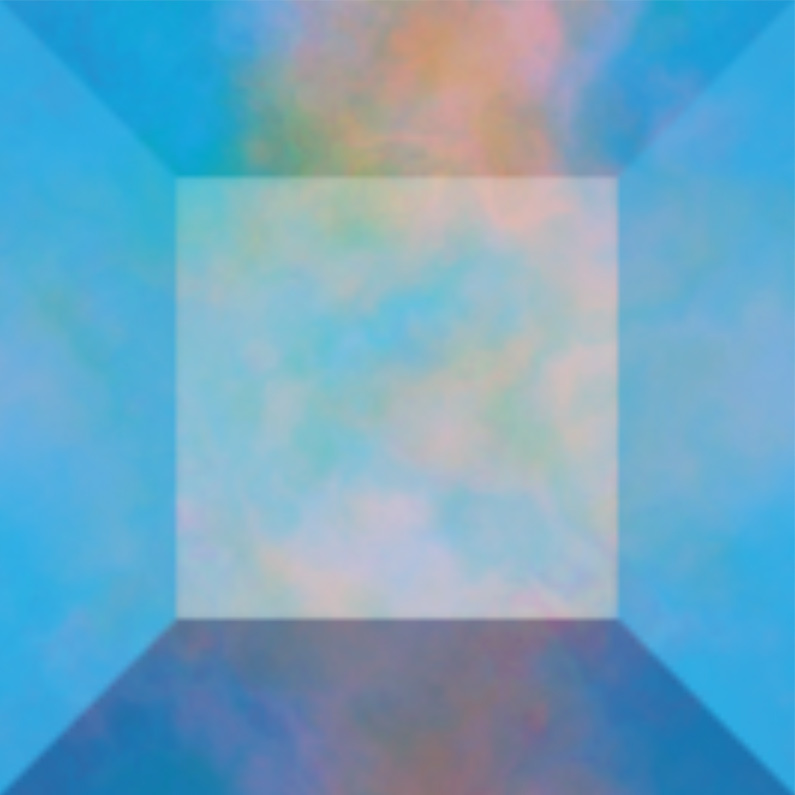 The blank canvas I was given to create this app allowed me to explore ways of advancing the LACMA brand as the museum continues to develop its digital strategy. 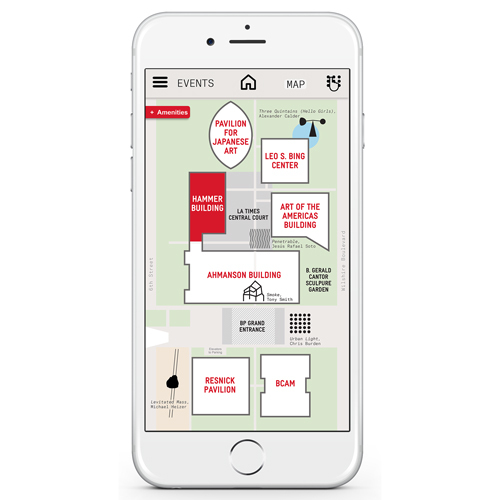 Figuring heavily in the thinking of the new app’s design were projects such as the campus signage and the e-mail redesign efforts, both of which began a new system in the visual language of LACMA’s brand.